Booking Mama: Giveaway: Fodors on the Go! Summer is right around the corner and planning your family vacation has never been easier thanks to Fodor’s Travel. For 80 years Fodor’s has been a trusted resource offering expert travel advice and in celebration of the National Park Service Centennial in 2016, their experts unveiled a new suite of online tools and updated guidebooks to help travelers plan an unforgettable family trip to America's incredible natural wonders. Throughout 2016, all parks, including the venerable Yellowstone and Yosemite, will celebrate the centennial with activities and initiatives that allow visitors to revel in their natural, historical, and cultural splendor. There’s no better way to explore a national park (or a few!) than to hit the road and let’s face it, picking which parks to visit and what scenic routes to take can be overwhelming. Fodor’s National Park Road Trip Itineraries, found on Fodors.com, include the most road-trip worthy adventures to parks across various states. And that’s not all you’ll find - National Parks 101 tells you everything you need to know about planning a trip to the national parks, including booking, budgeting and packing tips; and National Parks Finder helps you find and compare national parks based on activity, region or season. 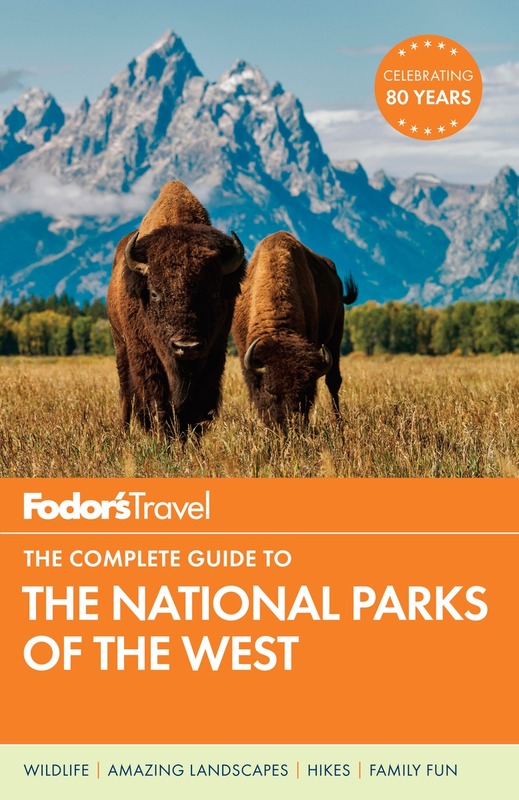 When you use these tools with Fodor’s National Parks of the West, on sale May 10, which includes completely updated coverage of the best sites, dining, and lodging in and around each park, you’re sure to have the best summer trip yet. And while you’re on the road with your family, you’re going to need some travel entertainment. The solution: Listen to an audiobook! 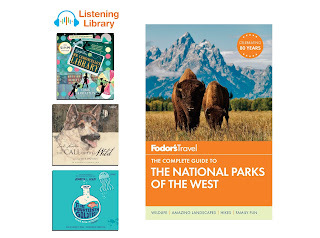 With an audiobook, you can completely lose yourself in the journey, enjoying the scenery while listening to a great narrator tell you a story. Ideal listening with kids in the car, audiobooks expand vocabulary, teach pronunciation and improve reading comprehension. In fact, 85% of what we learn, we learn by listening. Whether it’s a charmingly, quirky tale for your middle grader like Jennifer L. Holm’s THE FOURTEENTH GOLDFISH, a brain-teasing mystery like Chris Grabenstein’s ESCAPE FROM MR. LEMONCELLO'S LIBRARY, or Jack London’s classic THE CALL OF THE WILD read by Emmy Award winner Jeff Daniels, you’ll be able to sit back, relax, and enjoy the ride! Giveaway alert: Thanks to the fine folks at Penguin Random House, I have an amazing Fodor's On the Go Prize Pack to share with one lucky reader! To enter, just fill out the form below before June 7th at 11: 59 p.m. EST. I will randomly select and notify the winner the following day. This contest is open to those of you with U.S. addresses only. Good luck! This giveaway makes me wish I were going on a car trip!